Love the suit and cardigan combo. Notice how the model has to hide the "shortness" of blazer sleeves by tucking his hands in pocket? Compare the length with their +J blazers. 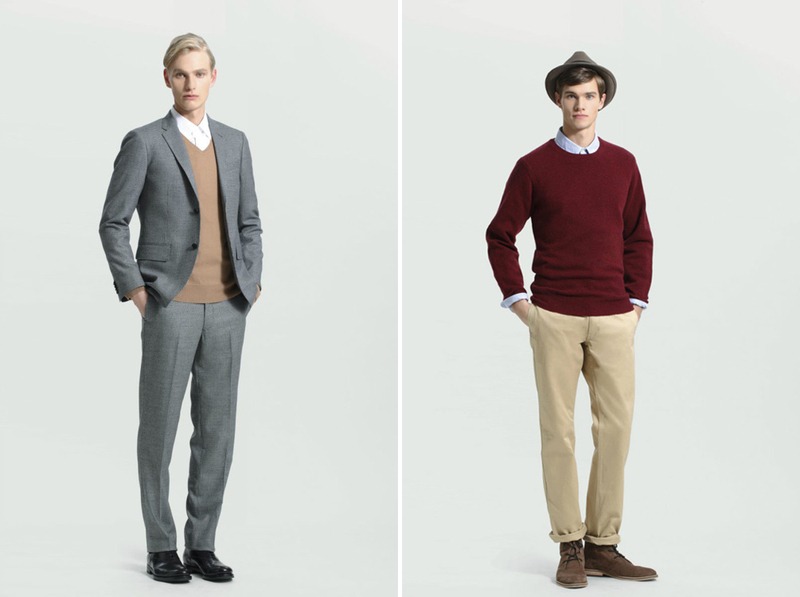 Uniqlo has been a great equaliser when it comes to the style-affluence divide. Remarkably affordable, the Uniqlo Fall Winter 2011 lookbook gives us many options for dressing above your paygrade and although I’m not a big fan of their styling in their Fall Winter campaign shoots, there are a few staple pieces you could invest it- suits, cardigans and chinos. Major caveat: Uniqlo is centered around the Japanese build, so short sleeves (the chaps in Japan have shorter arms) on blazers might be an issue. That said, it never hurts to head down to your nearest boutique for a fitting. 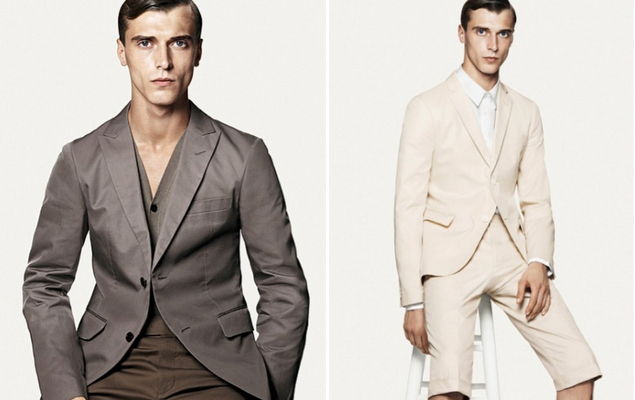 Uniqlo +J collaboration with Jil Sander makes suit cuts that fit the anglo saxon build better. Alternatively, you could look to a Uniqlo collaboration- the +J collection. Designed by Jil Sander, it has a more European sense of aesthetic (and built for longer limbed folks). Unfortunately 2011 will see Uniqlo and Jil Sander’s last +J season. Love the suit and cardigan combo.